Last June 22, 2018, at the DMC College Foundation Covered Court, held the DMC College Foundation Orientation/Reorientation and Welcome Treat S.Y. 2018-2019, hosted by SAC coordinator and SSG Adviser Mr. Danilo Dela Cruz Jr. During the early morning, at 8:30 am, the event was started with a welcoming message from the JHS OIC Principal, Ms Jackyline G. Tangcay, followed by multiple discussions from the staffs , and spokespersons of different fields and departments of the DMC College Foundation Inc. They informed and oriented the new and old students about the school’s systems, rules and activities for them to easily adapt to the environment. The DMCCFI Welcome Treat Program 2018-2019, continued in the afternoon, was featuring a “Carnivalesque” theme and atmosphere, with the tagline “One School, One Spirit, One DMC. Our Ride Begins Here.” The students were required to wear fun and creative headdresses to be showcased in the entirety of the event. The afternoon program was formally initiated by DMC College Foundation’s very own Vice President and Director of the Basic Education Department- -Mrs Carissa Pia M. Concha with her inspirational speech to be remembered by all the students. 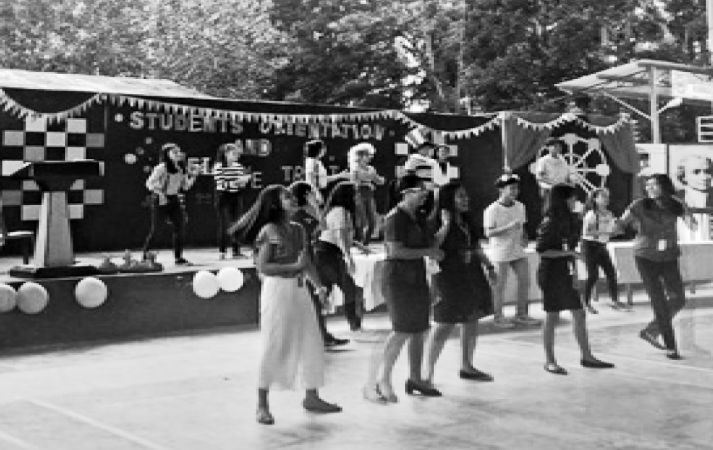 The program was transitioned by outstanding performances from selected performers from Grade School, Junior High School, and then finally a rendition by the SSG Officers of the high school department, who showcased their talents in dancing . The event then continued with jokes and games that the students gladly participated in. The Welcome Treat Program was very successful, having filled with laughter and happiness all over the court. DMC College FoundationInc. welcomes all students, all shapes and sizes, with open arms, andthey encourage you to join the fun because, in DMC, Your FutureBegins Here.